Recently, I was fortunate enough to be part of an intimate group to sit with the effervescent Chester Osborn and taste through the 2012 “Amazing Sites” releases. Chester was in his usual exuberant manner: both in person and in costume. The signature loud shirt looking more like the wall print from a Taqueria, cramming in as much “Day Of The Dead” Mexican iconography as is possible. The size of the belt buckle (proclaiming the wearer to be a Rodeo Champion) would have put half the American trucking population to shame.And the crowning glory? A newly purchased, yet antique, bespoke tailored python skin jacket that looked more at home on Chester than it probably did on the unfortunate serpent that gave up it’s armour many moons ago. The Amazing Sites project seeks to give life to the parts and limbs and organs that ultimately create the beast that is the Dead Arm Shiraz (plus a couple of Grenache thrown in for good measure). 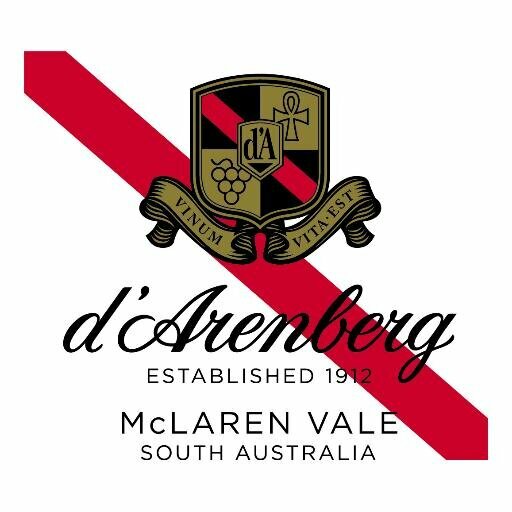 A full breakdown of rainfall for the vintage and the mapping of soil types for each vineyard are some of the incredible resource library that d’Arenberg offer for this project. Chester likes to keep busy. Prolific may be an understatement. The labels and naming keep to company (Chester’s?) ethos of not taking serious those things that don’t matter. The wine matters: Made in the same manner, each wine has one foot-press, no racking or fining and then spends 20 months in old oak. The wines are an embodiment of that mystical, sometimes controversial term “terroir.” That is, a liquid expression of a specific piece of dirt tempered by the earth, the sky and nature around it. Lightly spiced number with bright and plush red fruits, rubber and asphalt. I found the tannins soft and a little chalky. I struggled a little with this wine, whilst being first in the line up and expecting it to be one of the most approachable, it felt a little like an awkward teenager. Still not sure of what it will be when it grows up. Earthy, grassy, hessian tones overlaid with purple to almost black fruit. Sharp distinct “iodine” tang. Gentle tannins balancing soft teases of cherries and dark fruits. One of my favourites of the session. Ripe, generous cherries and plums. Medium bodied flesh with easy tannins and bright flavours. There’s a lovely lively, minty and fresh feel to this wine. It’s certainly here for a good time. Soft and smoky camp fire notes. Medium bodied with black and purple fruit and a unique spice note (not quite pepper)… Maybe the mustard weed that grows through the vineyard? Quite tannic for the moment, finishes with a decent lick of acidity too. Just like real mustard, a little bit of this goes a long way in the final blending of the Dead Arm. Finishing with lovely fennel spice, another favourite of the tasting. Overt coffee, earth, cedar, violets and purple mulberry fruit. Big blocky tannins that give way to coffee grounds and iron and wood beams and beetroot-esque purple fruit. Gorgeous, full McLaren Vale nose: Generous red/black fruits, a touch of rubber and smoke with drifts of spice. Medium tannins and a lovely core of the McLaren Vale fruit with a edge of vibrant minerality. Earthy and rocky. Pine trees and coffee. Anise and Mushroom cap. Plum and purple fruit. Like none of the others. The palate gives up chalky tannin, more coffee and anise. Rounds out with earthy beetroot. Super herbal and chalky tannin. Primary fruit with sweet chocolate edge. Medium bodied at best, this was best described by the group as having a true “Sarsparilla” flavour. “Oriental” nose awash with 5 Spice and sandalwood. Has a freshness and vibrancy. Slight briny and salty lift to counter sharp red fruits. Lingering on effortless. Pinosity. Bring on the duck pancakes. Meaty jus and rocks. Deep black fruit and smoke. Good campfire smoke/spice tang and citrus-like lift frame black fruit with drying tannins. The black fruits meld with a sweet raspberry coulis finish. Generous nose giving abundant red fruits yet tempered with smoke. Good concentrate of red fruits that give way to long tannin and plenty of structure. Warm and mouth filling. Long mulberry with metallic counter and a sinister tang of blood/iron. Another new addition to the 2012 Amazing Site labels. Earthy, stinky, meaty nose. Complex and herbaceous (not green). Dark red fruits balanced by meaty savoury notes. Talk about saving the best for last. So much going on. Almost Dead Arm on it’s own. Opaque and dark in the glass. Nose of earth, coffee, beetroot, blackberry, plums, camp fire smoke. Complex palate of black and red fruits, quartz, coffee and…and…and…and…on it goes. Framed with tannins like you want your football umpires, critical to the outcome but not detracting from the enjoyment of the game. Angelina Jolie in a bottle. An adult wine that smiles seductively and draws you in and makes you wonder where you’re going to go next.